steve 1931-1980. . Wallpaper and background images in the Steve McQueen club. 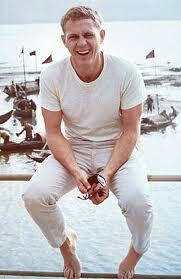 This Steve McQueen photo contains by catch and bycatch. There might also be flathead catfish, mudcat, goujon, shovelnose catfish, spoonbill catfish, pylodictus olivaris, herring, clupea harangus, and spearfish.